How many teams are still in the relegation dogfight? West Ham ensured that they are still involved with a poor performance at Swansea last weekend. Will our remaining home games save us? It is a sad state of affairs that every club in the Premier League outside of the top six has a negative goal difference. That means that if you support any one of 14 teams in the top flight then you will have seen them concede more goals than they have scored. And apart from Burnley, who are currently leading the table to finish seventh, your team will have lost more games than they have won. This weekend we face the aforementioned Clarets in the 30th game of the 38 game campaign, in our latest attempt to pull away from the bottom three. So far they have won ten and drawn ten, so for those of us who like symmetry I hope that we inflict upon them their tenth reverse of the season. As I have written before on the subject there is no official competition to finish seventh, but there is a certain satisfaction to be gained from being the leading team in the Premier League outside of the top six who are far and away ahead of the rest. Prize money is at stake too, but this becomes less relevant given the money ploughed in from domestic and overseas television rights. The battle to avoid relegation, which has massive financial implications, continues to be the most interesting aspect of the league. An extract from part of the league table shown above illustrates that we are still in a better position than some, as there are still six teams below us with only nine games to go. Perhaps the teams from Everton upwards may believe they are more or less safe (although they wouldn’t admit it), but they could still get dragged into it if they have a bad run of results, and enough of the teams below them continue to pick up points. The teams who currently occupy the bottom three places have current poor form (when the last five games are analysed), although we have only fared better than Palace and West Brom in this respect. Swansea and Bournemouth have the momentum gained from recent good results and this might help them to pull further clear. However we still have six home games to play, and although some fans would have you believe otherwise, our form at the London Stadium would put us in 11th place in the table if only home games are considered. This should give us an advantage, especially when compared to Southampton who only have three. However we still have to face four of the top six in the table in our remaining nine games, and only Stoke match that number. It is still not clear exactly how many points will be needed to stay up, but any team averaging a point a game continues to be outside of the bottom three. If this remains to the end of the season, and I believe it will, then 38 should be a safe figure. The home games against Burnley, Southampton and Stoke should be the key ones for us, so let us hope that we start a winning run today. At this stage my money would be on West Brom, Stoke, and Southampton to go down, but things can still change. Ironically, despite facing the team seventh in the table, the bookmakers have us as favourites to win the game at around 5/4, whereas they only give odds of 5/2 on Burnley. This may surprise some, but Burnley’s recent form is not much better than our own. 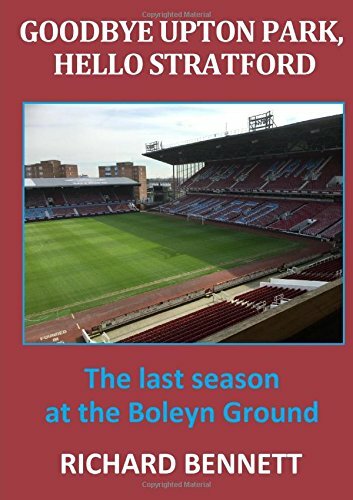 Unfortunately (given the way these statistics go against us) I still have to report that West Ham have won every home Premier League game against Burnley to date, and they haven’t won a game in the top flight on our ground for almost 45 years. And Burnley haven’t won away from home since November. Oh dear! Let us hope that the stinging criticism aimed at the players following last week’s capitulation at Swansea has the effect of galvanising our team into a much improved performance. But, however we achieve it, three points would bring a welcome boost to our aim to remain in the Premier League next season. I believe that, in what is likely to be a tight encounter, we will just about win by the odd goal. Enjoy the game! Previous Previous post: Can West Ham Rise Above The Chaos To Beat Burnley In The Claretsico? Next Next post: Five Takeaways: They Think It’s All Over, It Could Be Now!